Bone Broth can be used as a delicious topper on all food and especially great for those finicky eaters. It can also be replaced as a full meal instead of food for 24-48 hours for pets recovering from illness or transitioning to a raw food diet. 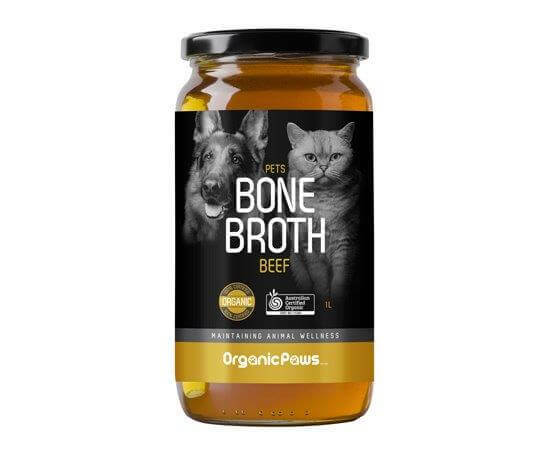 Including Bone Broth as a regular addition to our pet’s diet is a natural yet revolutionary approach to maintaining optimum animal wellness. Available now, our Bone Broth is freshly made and sold in 1 litre jars with a 12 month shelf life, please keep refrigerated.